Orissa, a state absorbed in rich cultural heritage, is one of the main tourist destinations of India. From ancient temples to wonderful monuments, exotic wildlife, fascinating beaches, beautiful dance and colorful festivals, Orissa has so much to enchant you. The most overwhelming attraction of the state is its Konark Sun Temple, which are a great testimony to the rich past of the state. Labeled as the World Heritage Site by UNESCO, the Konark Sun Temple are truly the architectural marvels. Tourists from across the world come to Orissa to see the world famous Sun Temple in Konark. The temple was built by King Narasimhadeo in the 13th century. Built in black granite, the temple is also known as 'Black Pagoda'. Still retaining its old-world charm, the temple was constructed as a chariot to Sun God. Some of the portions of the temple are in ruins, hardly making any difference to its popularity. In the praise of the Sun Temple, Rabindranath Tagore said, "Here the language of stone surpasses the language of man". Tourists coming from all around the world to Orissa can find a variety of accommodation options here. 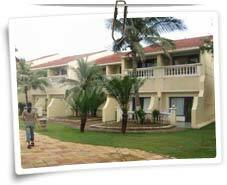 From beach resorts to budget hotels, Orissa offers a lot of options to choose from. The resorts at the beaches have their own different appeal, which never fails to impress the tourists. At these resorts you can enjoy the natural beauty of Orissa to the hilt. Picturesque views and peaceful environment is the specialty of the famous beach resorts here. Some of the best beach resorts in Orissa are the Hans Coco Palm Beach Resort, Hotel Nilachal Ashok, Hotel Toshali Sands, Mayfair Beach Resort and Sterling Resort. For tourists with low budgets, there are several decent hotels in Orissa where good facilities and services are offered at reasonable rate. If you are inclined towards luxury, then the high-end hotels are also available here where wonderful recreational and business facilities and services are provided. The choice is yours!